Barrs Yard is open 7 days a week, Mon- Sat 9-5pm. 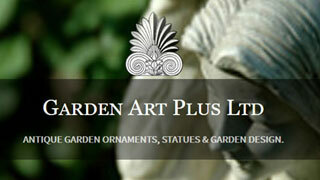 Sunday opening 10-4pm. 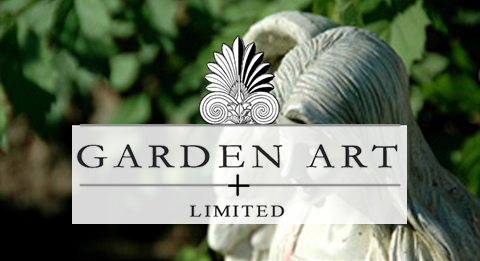 Barrs Yard, Bath Road, Hungerford has, for the past 12 years, been the home of Garden Art Plus Ltd, one of the country’s leading suppliers of antique and contemporary garden items. 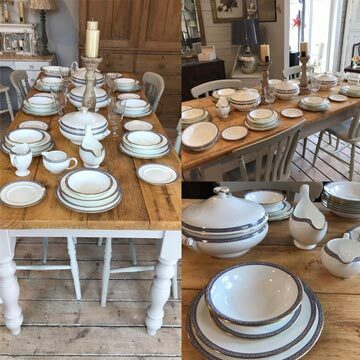 Run by husband and wife team Travers and Katie Nettleton, they have now opened their site to other like minded artisan businesses to create a collective group of companies supplying a range of products and services all with the same ethos of high end product quality. 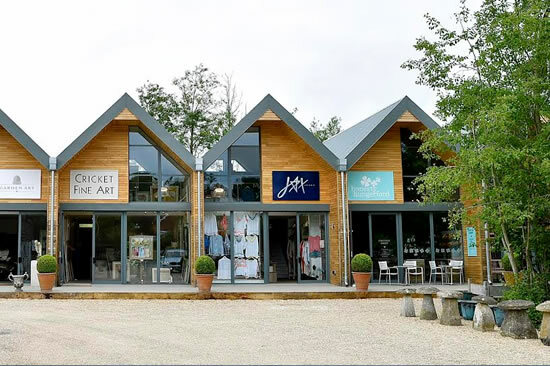 The Barrs Yard Collective brings together a number of independent businesses including a cafe, wine shop, fashion boutique, flower and antique furntiure outlets and an art gallery which all now reside alongside Garden Art Plus’s own shop and sales yard creating a unique shopping and lifestyle destination just an hour away from London. 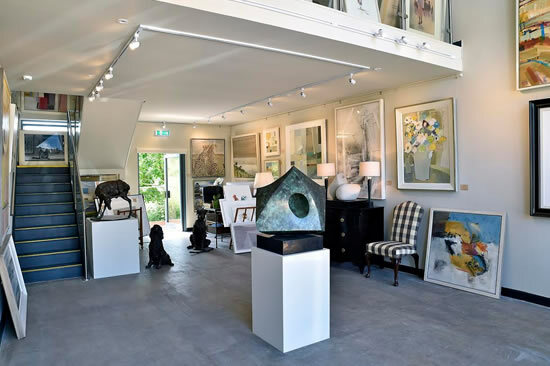 Already proving to be a huge attraction for, both local and visitors from further afield, the collective businesses run a varied number of events each month ranging from wine tastings and cookery demonstrations through to art exhibitions and special sales evenings. 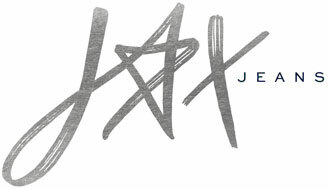 The weekend of May 3rd marks our second anniversary here at Barrs Yard and we are planning to celebrate in style with a great weekend of events…………..
An evening of food, drink and music on Friday 3rd - 6-9pm – will include both live music and a DJ, and an Argentinian BBQ with wines from the region. 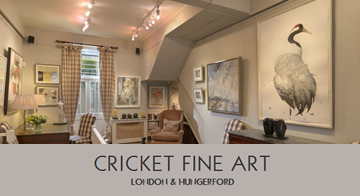 This will be followed by a Saturday and Sunday of shopping, more wine tastings, great art and, demonstrations on furniture painting and flower arranging as well as, as always, great food and drink – we all look forward to seeing you there! Also, it’s Easter this month! 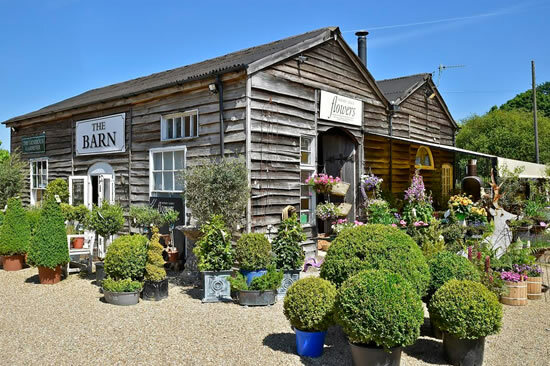 Seems to be very late this year but, as always, we will be open for much of the long weekend only closing on Easter Sunday so do pop down and see us – we’ll all be here, ready and waiting with special Easter offers and ideas for gifts! 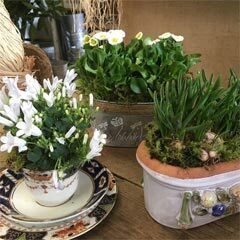 Easter and the arrival of spring is always a busy time for Wendy Lewis and her team - beautiful early spring flowers including Tulips, and Anemones and colourful shrubs are now in stock as well as a wide range of vases and container ideas including beautiful vintage pots. 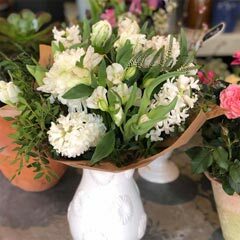 Over the Anniversary weekend of the 3rd May, Wendy will be demonstrating the art of hand-tied bouquets – contact Wendy for more details or pop in and see her in The Barn! 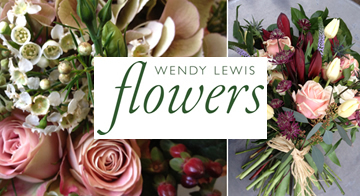 Visit Wendy’s website: wendylewisflowers.com or contact Wendy directly for more details at wendy@wendylewisflowers.com or Tel: 07825795340. When painting furniture Ruth only uses high quality chalk paint from Autentico who have a wide range of colours from subtle and traditional to bright and beautiful. 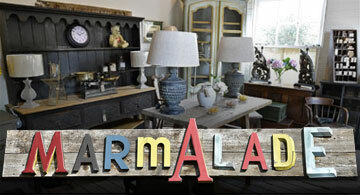 Marmalade is an official Autentico stockist and can offer furniture painting classes to individuals or small groups. 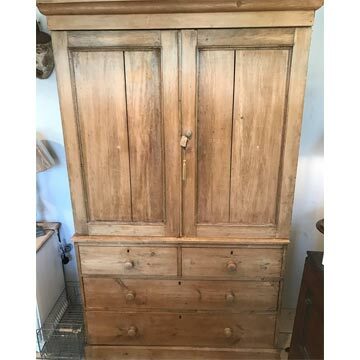 Over the weekend of May 3rd Ruth will be running furniture painting consultations offering advice and suggestions for any pieces you might be wanting to give new life too! She's back! 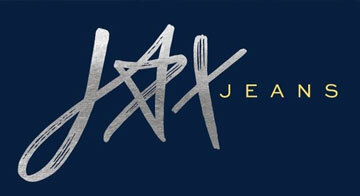 Helping us to celebrate our 2nd anniversary jean Queen Donna Ida will be returning to JAX Jeans for another of her extremely popular Styling days. 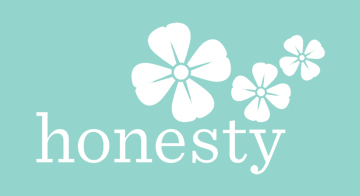 We can't wait to see her stunning new SS19 range from white jumpsuits to her super flattering jeans and you can book in for a personal consultation where she will find you your best fits to last you the season. During April, it’s all about Spring/Summer at JAX Jeans, with deliveries from our two favourite footwear brands Crime London and Kanna. 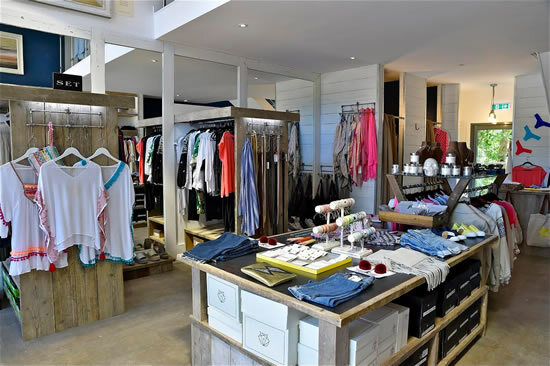 We are bursting at the seams with New Stock from brands such as Mercy Delta, with their beautiful silk shirts in stunning prints and their maxi dresses which are flying out of the door, Charli London, a new brand to JAX Jeans, with pretty prints and super soft cashmere in Spring colours and a huge delivery from POM Amsterdam, with a fabulous array of scarves. 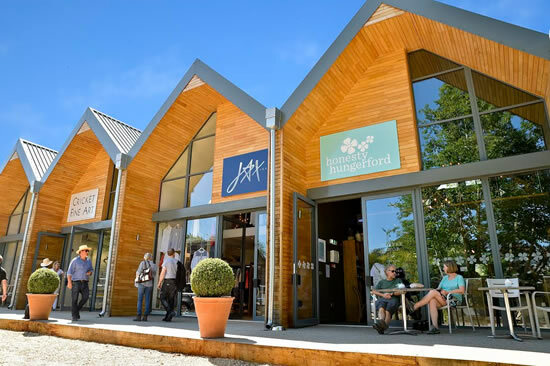 We have had a busy month with our Styling Day and BUNKS Trunks popping up with their stylish range of men’s and boy’s swimwear and, of course, we are looking forward to our next big event, The Barrs Yard Anniversary weekend 3rd -5th May! Huge congratulations to David who was commissioned by English Heritage to paint a picture for their 2019/20 handbook front cover and membership card. 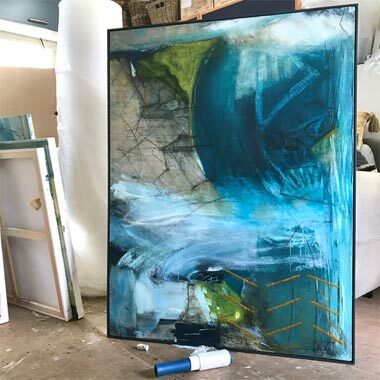 Selected from 28 artists to produce a painting in response to Tintagel Castle on the north Cornish coast, David visited Tintagel in September 2018 and set about making preliminary sketches which led to several larger studies - one of which was chosen by English Heritage. The final painting, 'Passage' was completed a few months later. 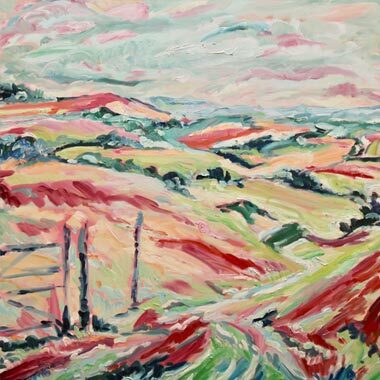 Fi Katzler's second solo show with Cricket Fine Art London is a paean of praise for the beauty in beaches, lavender fields, olive groves, lobsters and more. 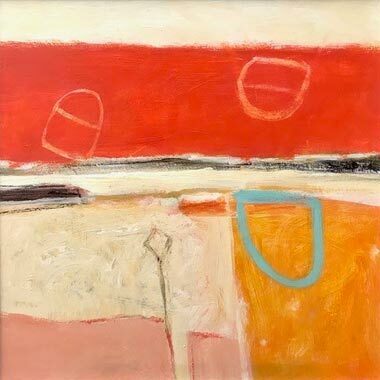 Her lively canvases, often oozing with paint, create an atmosphere of uninterrupted joy. 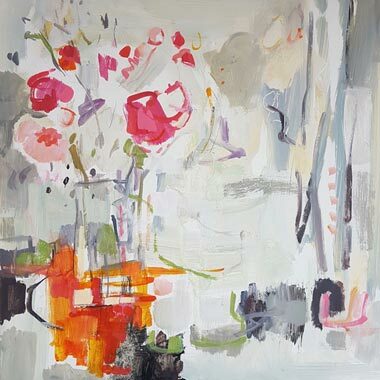 With a fondness for confronting nature directly, Fi paints 'en plein air' which gives her work an innate vibrancy. 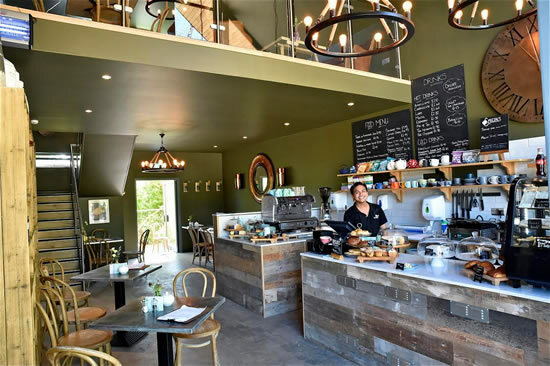 A demonstration on how to make the perfect cup of coffee - from the bean to the cup, will be taking place over the anniversary weekend and during April we will be celebrating Easter with our cake of the month – Simnel, always an Easter favourite. We will also be welcoming the arrival of spring with some great new cakes and menu additions reintroducing quiches and our much loved custard tarts! 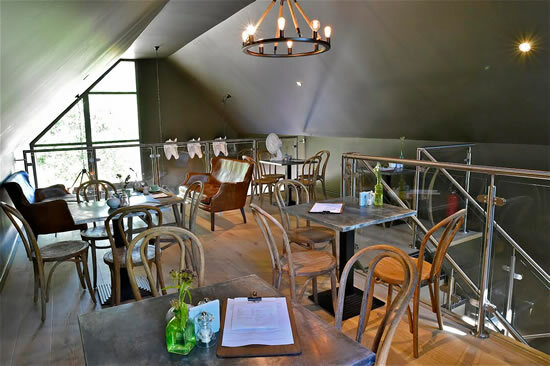 To help the anniversary celebrations go with a swing we will be serving Argentinian Wines on the evening of Friday 3rd May to go alongside the BBQ and our good friends at Ramsbury will be setting up a bar and serving Gin and Vodka with Double Dutch Tonic. On Saturday 4th we will be turning our attention to Rose wines – so come along a have a taste of the summer to come! 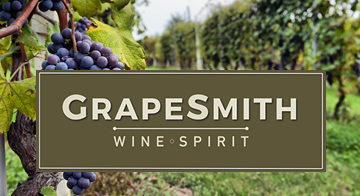 April, as always, is another busy month here at Grapesmith……………. SUNDAY WINE COURSE JUST LAUNCHED! We've had so many people express interest in our WSET LEVEL 1 courses that we've decided to launch some more Summer dates. Obtain an internationally recognised wine qualification in just 1 day! WSET Level 1 is a 1 day course, a beginner level introduction to wine; suitable for those starting a wine career or simply pursuing an interest in wine. 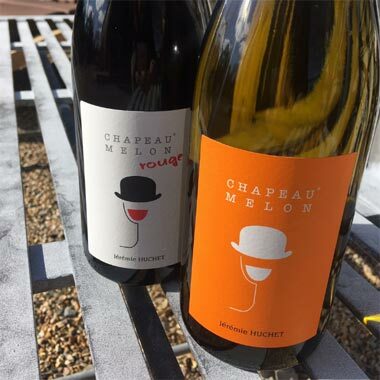 We are seriously excited to have found the Chapeau Melon range; they are going to be summertime staples with us. 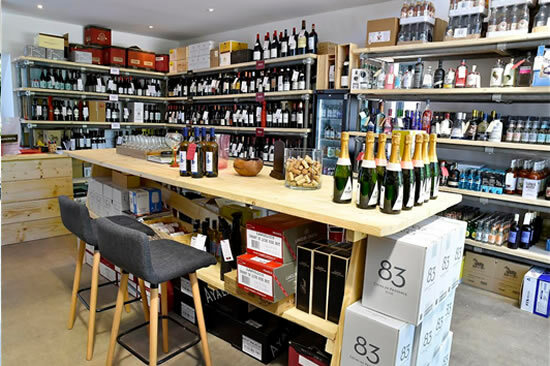 For fans of French wines, but not French prices! It’s a good day at the office when we find new wines like these; those ‘under the radar’ producers, working outside the rules and making better wines for it. This is exactly what we search for at our tastings! 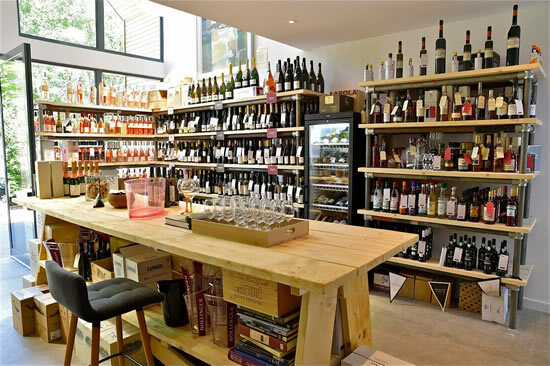 Wines from the Loire Valley command respect, and some serious prices – So, when we found a ‘Muscadet in all but name’ at just over a tenner, we were bowled over! Seriously, these are sumptuous and refreshing wines that are absolutely en-pointe for the coming months (cue; sunshine). The Blanc is made from traditional Muscadet grapes, with that trademark touch of salinity we know and love, enlivened with a touch of Sauvignon blanc for added ‘lift’ and aromatic quality. The Rouge, a blend of Gamay and Pinot noir is comparable to a great Beaujolais Villages, but without any of the ‘bubblegum’ notes those wines sometimes suggest. 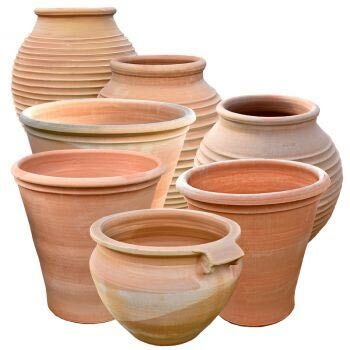 A busy month ahead here at Garden Art with new stock arriving daily in readiness for Chelsea Flower Show and the spring gardening season including our range of specially commissioned Terracotta Pots from Crete – during the anniversary celebrations we will be offering 10% off all pots in the range! 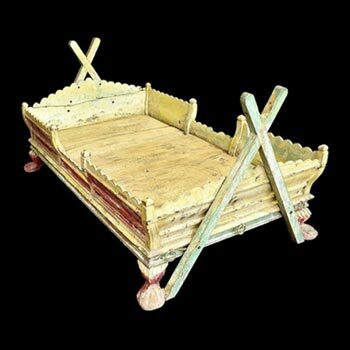 Also newly arrived from India is this wonderful wooden Antique Dog's Bed - decoratively painted it measures 111cms long x 65cms deep x 33cms high.